The Latest Call of Duty Modern Warfare Remastered is available now on PlayStation 4 as a Legacy Pro Edition. The complete game containing multiplayer, will not be available until 4th November. But You can enjoy single player campaign for 30 days on PlayStation 4. The fans are impatiently waiting the release of Call of Duty Modern Warfare Remaster. So, until you get your hands on the game, we brought you an Original Vs Remaster comparison video. In CoD Modern Warfare Original Vs Remaster Graphics Comparison, we will provide you a video containing Original Vs Remaster Graphics Comparison. 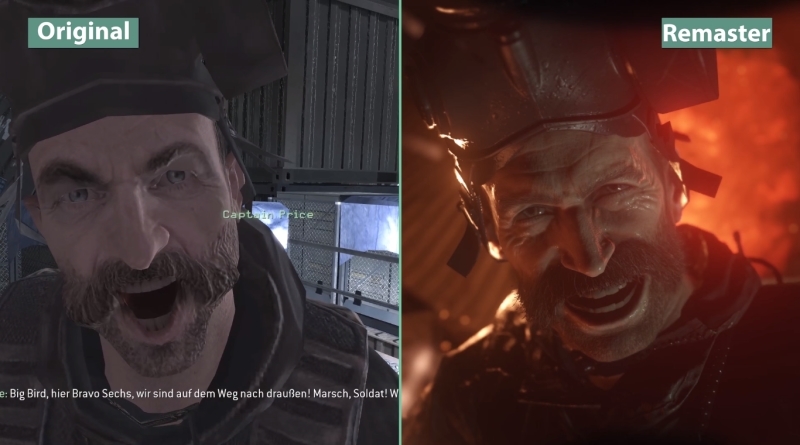 The amazing thing about the Call of Duty Modern Warfare Remaster is that the improvement and difference is not just about the textures, instead it’s really a remake. They remade the game from ground up with new effects to make this game look like a current gen game. You will definitely experience a big difference between character models, textures, effects and visuals. Watch the following video for Modern Warfare Original Vs Remaster Graphics Comparison. CandyLand, a youtuber, created this video and I hope you guys will enjoy it!